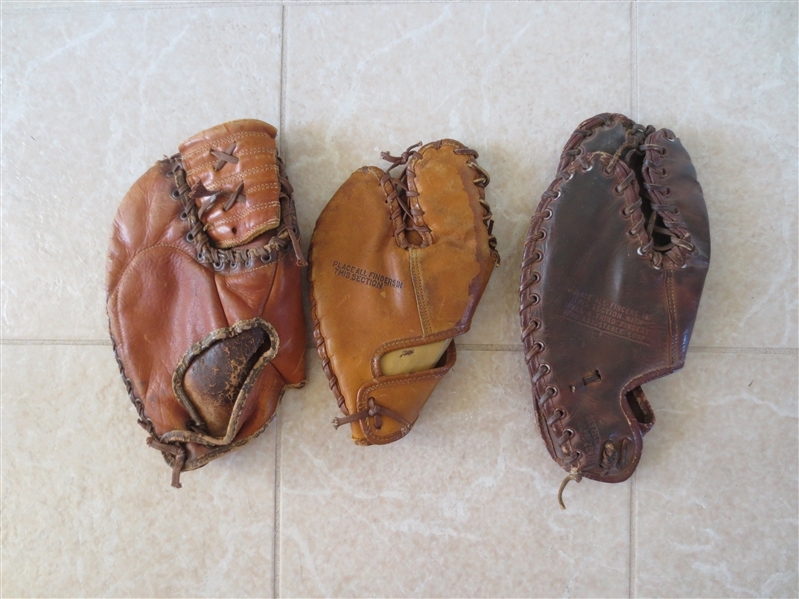 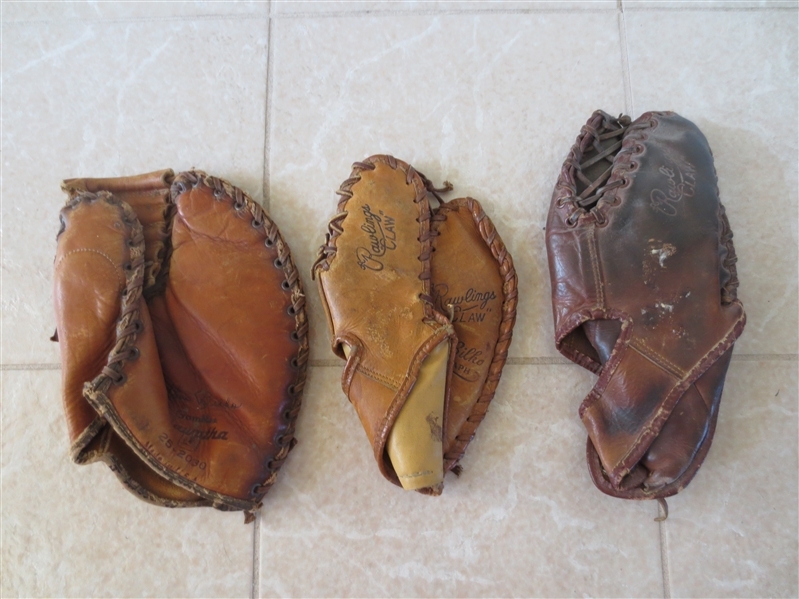 What we have here are three different 1950's-60's Steve Bilko store model baseball gloves---all made in the USA. 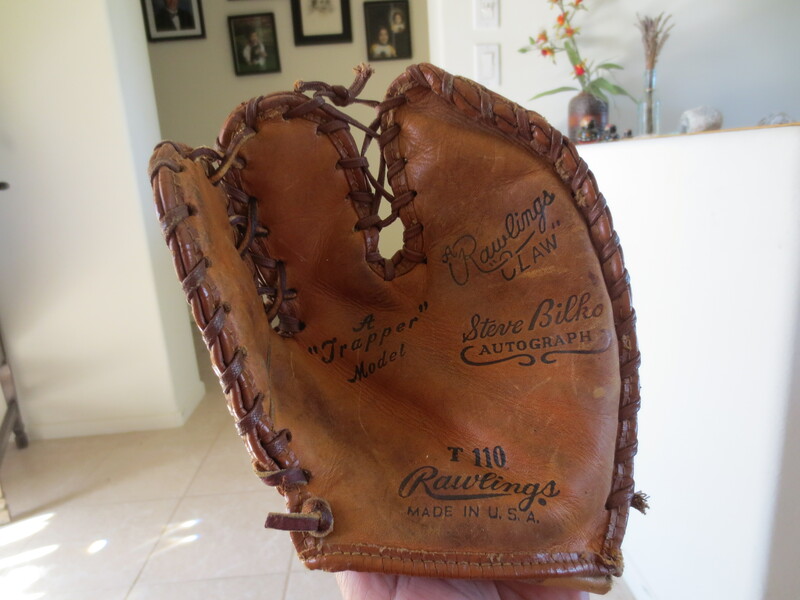 There is a Rawlings Claw first baseman's model TIC5. 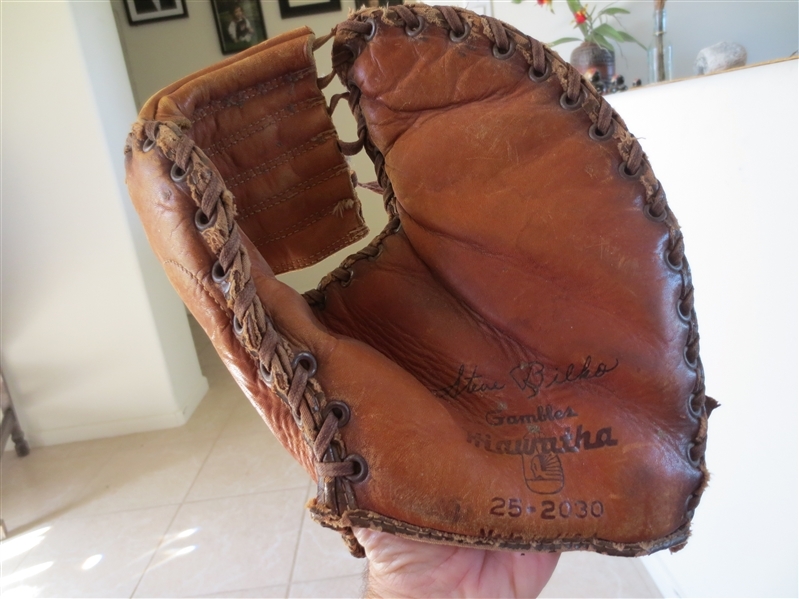 Next is a Gambles Hiawatha model 25-2030. 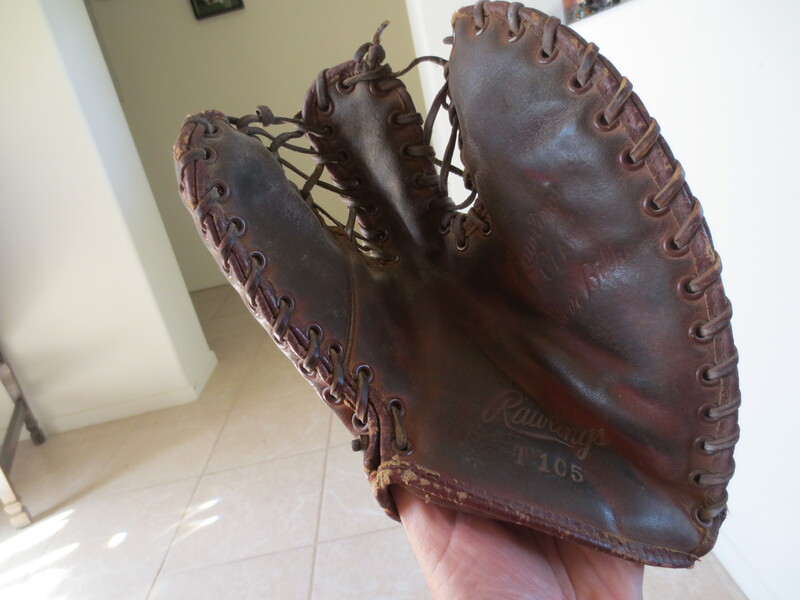 Finally, there is a Rawlings claw trapper model T110. He was the PCL star of the era.